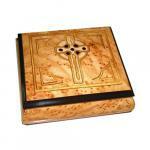 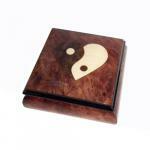 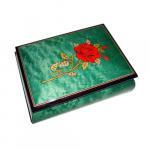 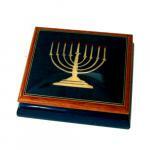 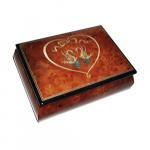 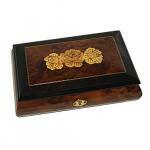 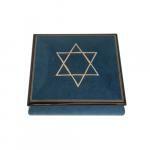 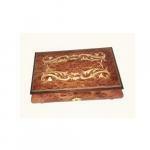 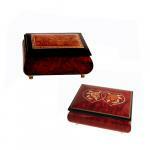 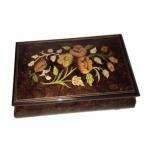 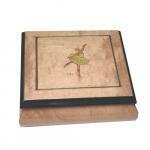 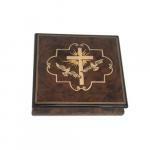 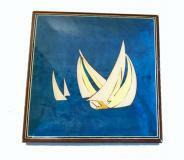 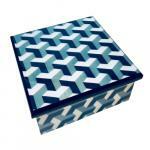 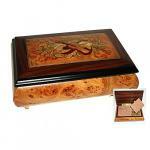 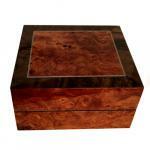 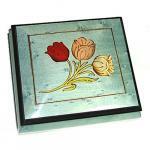 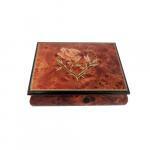 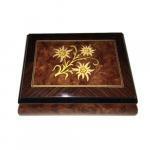 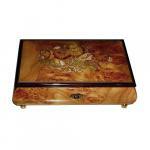 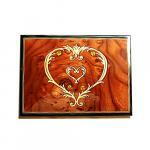 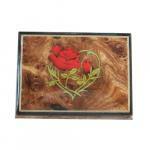 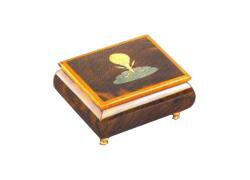 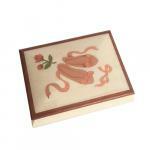 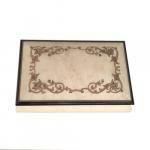 PURCHASE THE FINEST IN ITALIAN MARQUETRY at reasonable prices! 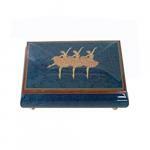 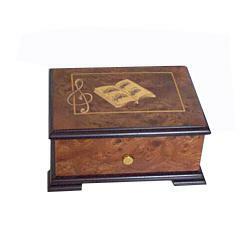 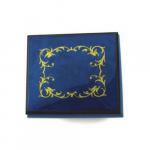 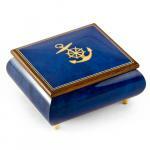 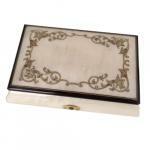 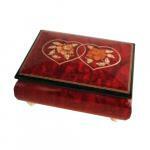 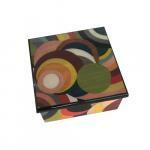 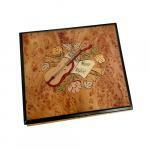 Browse our selection of Italian Sorrento music boxes below. 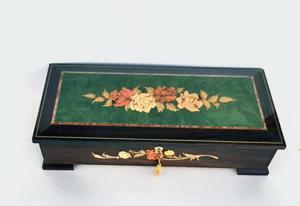 For some historical information, please see bottom of page. 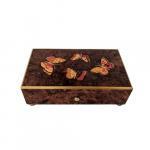 Marquetry is the art of creating decorative designs and pictures by skillfully utilizing the grain, figure and colors of thin veneers and sometimes other materials such as shell or ivory. 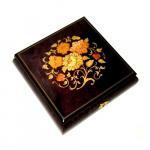 While the exact origins of marquetry are unknown, it is known that ancient artisans devised techniques to create objects decorated with exquisite inlays of wood, stone, metal, shell, bone, ivory and other exotic materials. 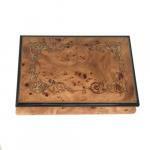 They would carve out a recess and fill in the resulting void with the material of their choice, using glues made by heating the bones or skins of animals or fish. 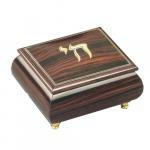 Egyptian hieroglyphs and paintings indicate that veneers were cut with bronze adzes and applied as decorative elements to caskets. 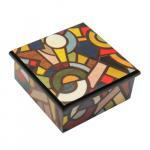 At this time mosaic work was also widespread, so it can be imagined that it did not take long for craftsmen to start experimenting with designs formed from different veneers. 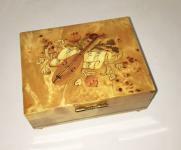 In the mid-16th century, innovations in spring-driven clocks resulted in the development of the fretsaw, a handheld tool which could be used to precisely cut inlay elements. 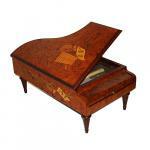 The fretsaw consisted of a U-shaped metal frame on which was stretched a narrow blade made from a clock spring, at the time the best and most uniform steel available. 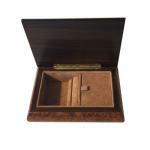 These relatively thin blades were given very fine teeth that were well suited to cutting thin sheets of wood and other materials. 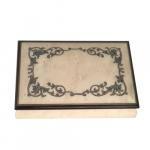 With the ability to now very accurately cut thin sheets of wood, bone, ivory, shell and other materials into nearly arbitrarily complex shapes, 16th century craftsman began to piece together these materials and shapes into more complex images. 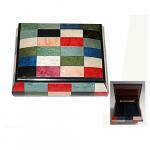 The approach, now termed “marquetry” from the French marqueter (“to inlay as on a piece of furniture”), involved the cutting, fitting and gluing of pieces of material into a single sheet and then gluing the resulting sheet down onto a substrate. 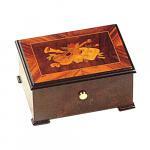 As such, marquetry differed substantially from inlay in that the design was essentially completed before being attached to the end piece of furniture, rather than being used as an element within the end piece. 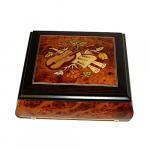 The earliest known example of marquetry dated 1563 is from Breslau, Germany. 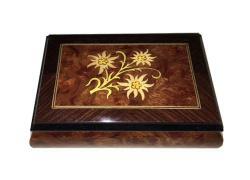 Over the next few centuries, marquetry schools were established in France, Germany and Holland. 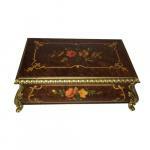 During the 16th to 18th centuries much exquisite work was produced focused primarily on decorating furniture, especially for royalty. 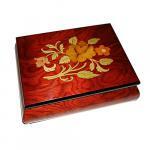 By the early 17th century, marquetry largely replaced inlaid decoration in furniture. 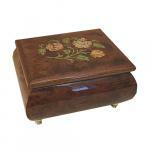 Floral designs and “seaweed” marquetry (having the form of symmetrical, foliate scrolls) became quite popular design elements in furniture of the period. 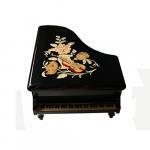 Some we (at TheMusicHouse.Com) know, reside in Sorrento and Ercolano Italy. 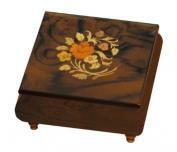 They are the skillful masters responsible for most of our beautiful inlaid music box cabinets that we lovingly offer for sale. 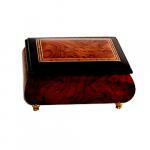 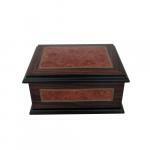 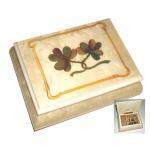 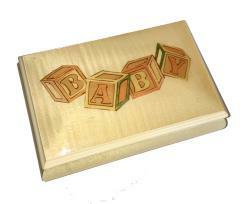 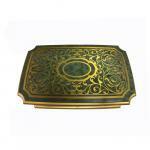 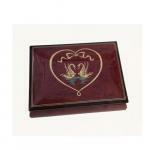 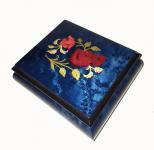 Sorrento music boxes are well known for their intricate detail and high-quality craftsmanship.